Have a special, custom design project? Let us know and we'll help you find the perfect windows to meet your requirements. No custom window project is too large for us to handle. If you can dream it we can make it happen. 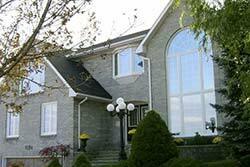 Looking for custom windows? Contact the award winning customer service and workmanship staff at 1st Choice!